The Enterprise Data Warehouse (EDW) has been a great custodian of enterprise data, and the foundation for business critical analytics for many years. The growing volumes of business data combined with recent advances in Big Data technology are introducing a market inflection point where enterprise legacy EDWs can no longer effectively address the scale, diversity, and usage challenges posed by the new EDW paradigm. Hortonworks is excited to announce our new partnership with Jethro Data to extend our EDW Optimization solution to help customers address the scale and performance challenges of Enterprise Big Data warehousing. 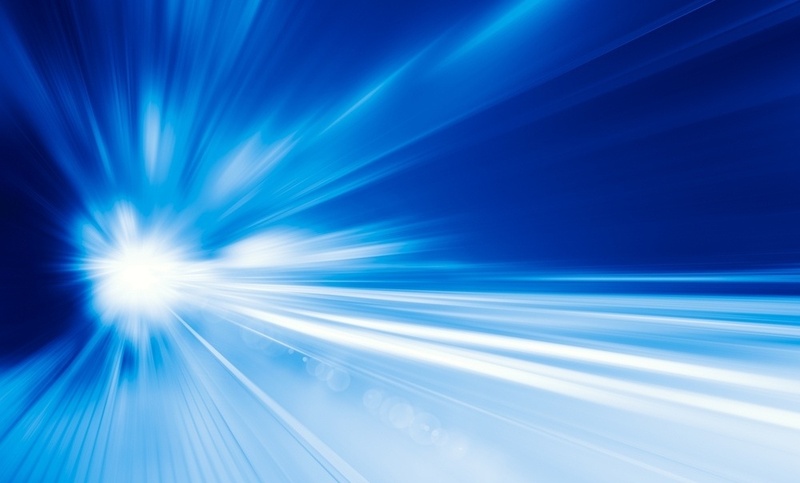 Growing volumes of business transactions and advances in business monitoring are relentlessly driving data volumes that in turn call for costly expansion of legacy EDW environments. To meet system ROI objectives, IT departments are forced to cap the amount of EDW data available for analysis, practically to a year’s worth of data, sometime even less and thus limiting the business accesses to its own data. The new EDW has to ingest data from a much wider spectrum of sources, like system logs, IOT instrumentation streams, and web traffic flows. The data is not only larger in volume, it is more diverse in structure, featuring semi structured and unstructured records in addition to the standard record formats. Legacy EDWs had to enforce a rigid data lifecycle to serve well a somewhat homogeneous user community. The Bid Data EDW serves a wide spectrum of users, from a lab of data scientists on one end to brand marketing managers on the other end. Data is dynamic and non-segregated, any user may access any segment of the data, and ETL is required to keep the EDW data fresh for all. Regardless of the increased data volumes, data source diversity, data complexity – business users rightfully demand interactive response times to queries and reports to effectively do their jobs. 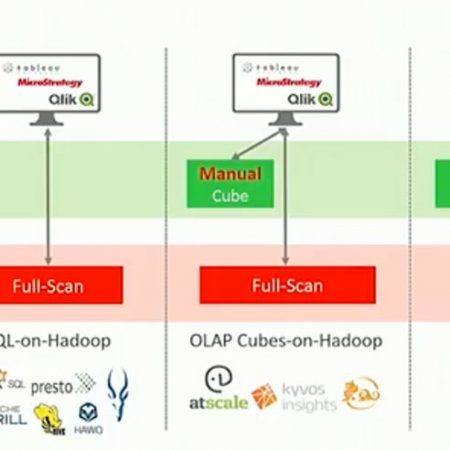 Hortonworks Data Platform (HDP) – Powerful open Hadoop capabilities for data governance and integration, data management, data access, security and operations. Syncsort — High-performance ETL software to access and easily onboard traditional enterprise data to HDP. Jethro Data – A high performance analytical engine for interactive BI on Hadoop Big Data. Professional Services— Expert guidance and support to quickly prove the value of your new architecture and maximize the value of the full tested and validated Hortonworks data architecture optimization solution. Hortonworks EDW optimization delivers a well integrated solution for the challenges of Big Data EDWs. Best in class ETL for accessing a wide spectrum of sources, a scalable Hadoop data lake, and a high performance Interactive BI engine constitute a comprehensive and cost effective solution. Jethro Data employs comprehensive indexing, dynamic cubes, and a query cash to deliver response in seconds to all types of BI queries, over high volume data sets. Jethro does not require costly changes in your applications, or messy re-engineering of underlining data. 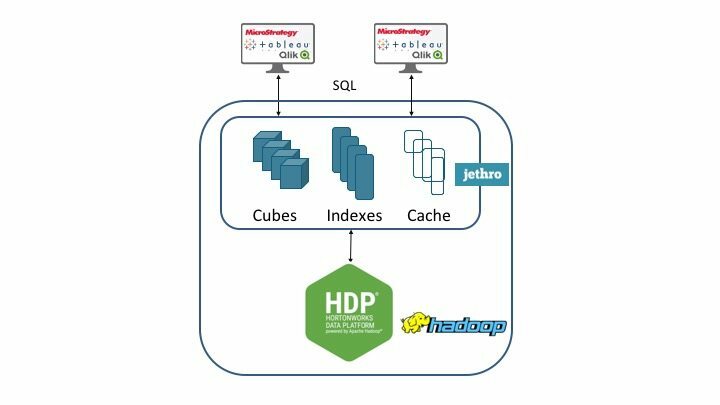 Jethro delivers EDW service on Hadoop scale, at a fraction of the cost.